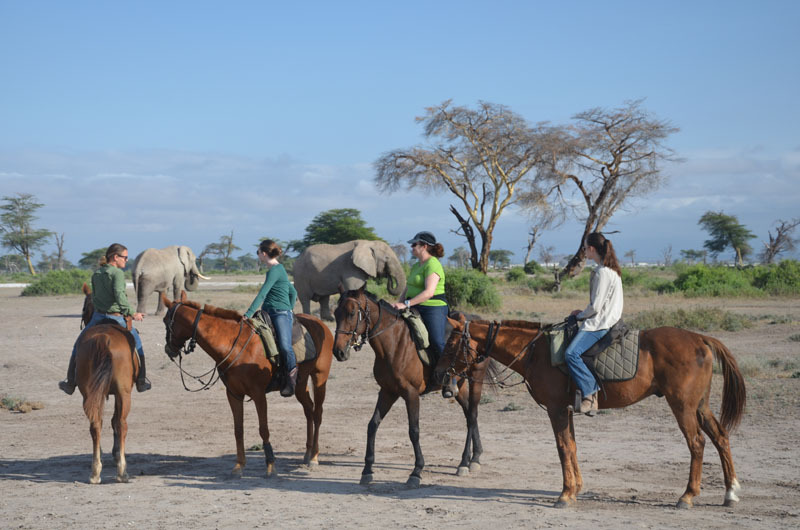 Karibu Tanzania, pack your baggage and join this exciting 9 -day Tanzania Horse Riding and Safaris! During this safari, you will go on extensive game drives in Arusha National park, Tarangire National Park, Serengeti National Park, Ngorongoro Crater and Lake Eyasi. You will have the opportunity to spot wildlife in their natural habitat and explore the magnificent Tanzanian national parks while exploring they are daily life and culture of Hadzabe and Datoga tribes, On top you will have golden moments of stretching your body through horse riding while spot some zebras, wildebeest and other animals in Dolly estate. You will be driven from your hotel to Arusha national park game drive and walking safaris, after lunch we will exit from the park and drive to Dolly wildlife estate in Maji ya chai Village for horse riding, once you arrive you will state your horse riding experiences, meet your guide for briefing and riding will start, the rides will be for two hours. After the ride you will get to our safaris jeep, and driven to your lodge/ hotel for dinner and overnight. Early today we will start driving from our hotel in Arusha to Tarangire national park for game drive until afternoon were we will break for the picnic lunch. After lunch we will continue with the game drive until evening and drive to our lodge/ campsite for dinner and overnight. Today after breakfast we start 4 hours driving to Serengeti national park, we will break for picnic lunch at Naabi gate, after lunch you will start the game drive until sunset, Heading to our lodge/campsite at center of Serengeti for dinner and overnight. Today we have fully day in most beautiful park in the world after breakfast we will start our game drive and late afternoon we will stop for picnic lunch continue with game drive until sunset and drive back to our lodge/ campsite for diner and overnight. Serengeti is really special sights, sound, and smell of Africa with stunning scenery, ever changing light and entertaining wildlife. In this park the animal don’t work to any schedule so we may find Lions, Leopard, Elephant, Zebra, Cheetah, Antelope, Gazelle and many more. Today early in the morning around 5:00am you will be picked by Serengeti balloon jeep and drive to starting point for briefing from your balloons pilots, around 06:00 you will start your one hour aerial ride awarded with great view of Serengeti plain, animals and sunrises, After aerial ride you will meet for the English breakfast and champagne, also you will be rewarded your balloon certificate. You will meet your safaris guide with lunch boxes game drive at the center of Serengeti until noon, exit from Serengeti national park and drive to your lodge in Karatu for dinner and overnight. Today after breakfast we will drive to Ngorongoro highland for Maasai tour then after we you will descend to crater often referred as wonder of world. You will do a game drive break for picnic lunch and late evening ascend from crater and drive to your hotel/ lodge in Karatu for dinner and overnight. This is World largest caldera fully of grassland, forest and swamp, a setting of jaw-dropping beauty. The permanent water of crater floor supports a resident population of more than 25,000 large mammals. Here you will find many of reason you chose to do Safaris in Tanzania. Lions, Waterbuck, Hippo Baboons, Black Rhino, leopard, Hyena, Jackal, Buffalo, Warthog, Gazelle and many more are shelter here. 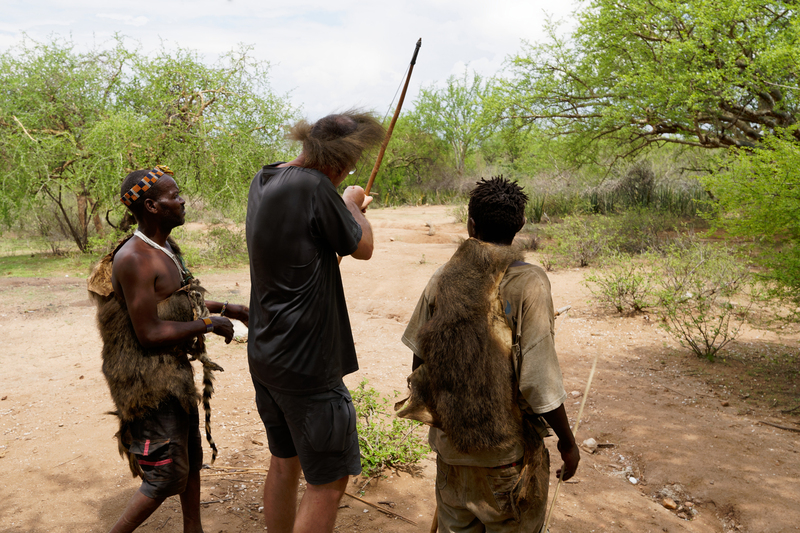 Today early in the morning around 6:00am we will start driving to Lake Eyasi to visit Hadzabe and Datoga tribe and join them in their daily activities; you will break for the picnic lunch continue with activities and late evening drive back to Arusha / Moshi for dinner and overnight.